Always try and create such an atmosphere !!! 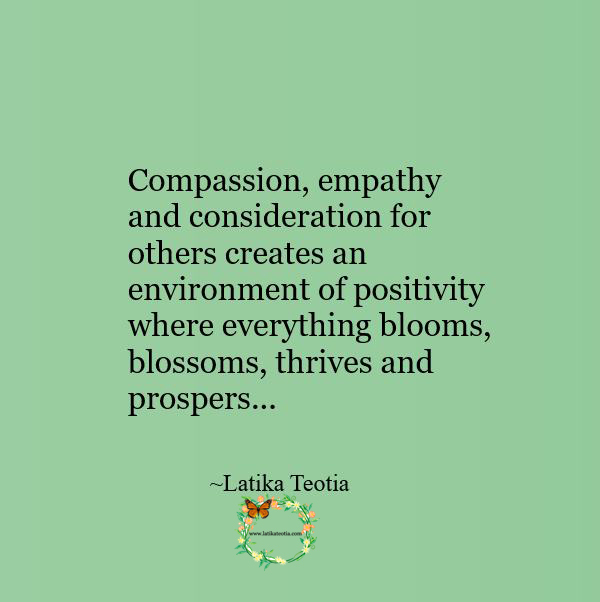 Compassion, empathy and consideration for others creates an environment of positivity where everything blooms, blossoms, thrives and prospers. Previous PostPrevious Don’t Lose Heart !!! Next PostNext Learn to deal !! !